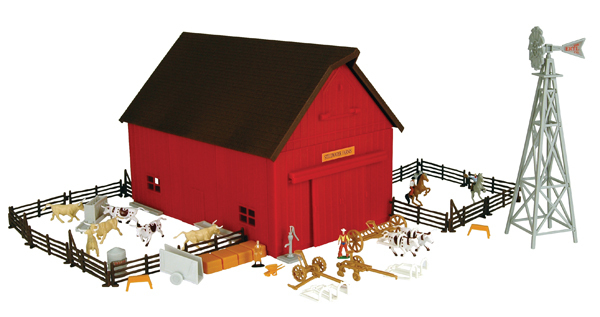 Each 1:64 scale Ertl Farm Country playset lets youngsters experience the best of country living, whether they live in the heart of the farm belt or the middle of the city. Included in each set are easy-to-assemble plastic buildings, life-like human and animal figures, and a generous helping of accessories for youngsters to harvest a bountiful crop of imaginary rural adventure. It would be nice if the actual size was listed so one would know how much space it will take. Yes it is 1/64 but 1/64 of what size of a barn.